Your holiday to-do list is growing. Friends visiting, gifts to buy, wrap and send, and don’t forget about planning and cooking a festive feast for the entire fam! 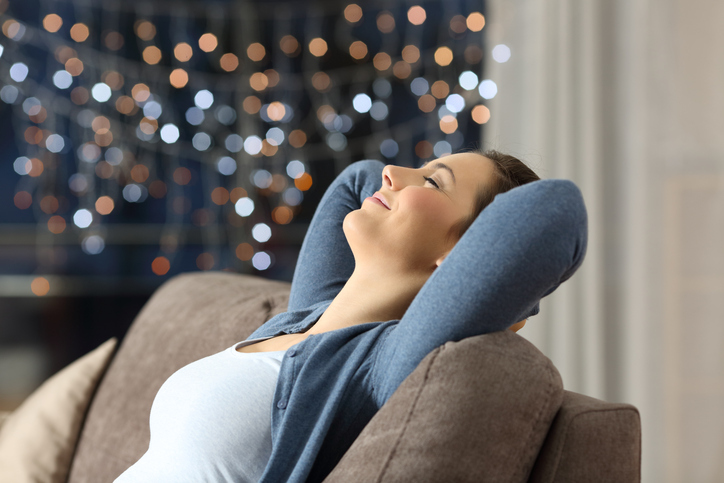 Yes, you can make this holiday season the best time of the year with these five simple stress busters. Exercise: Research shows exercise can reduce stress and gives you the energy to get through your to-do list. Make sure to schedule time to exercise, go for a walk or simply dance in the kitchen. Not only will you have more energy, your mood will improve, and even better, you’ll burn off the extra calories that lead to holiday weight gain. Prioritize: It’s never too soon to start planning your holiday schedule. Start by making a list of items you need to get done, then add those items that you want to get done. By prioritizing your to-do list, you’ll be able to focus on getting done the things that are most important to you and your family. Keep things simple: The holiday season should be a time of joy. Reduce stress by keeping decorations, meals and gifts simple. For example, rather than decorating your entire home, choose key areas that you spend the most time in. Or, instead of cooking a holiday meal for a large crowd, either cater or hold a potluck. Finding unique gifts year after year can be a tedious chore. Simplify your holiday shopping list by giving experiences rather than gifts. Focus on fun: Often, we feel pressure to jam pack the holiday season with too many events. This year focus on social occasions that are the most fun. Take the pressure off by RSVPing to a select number of parties, baking a batch of cookies with the kids or simply staying at home and enjoy a holiday movie and hot chocolate. Ask for help: If you’re feeling stressed and overwhelmed by your holiday to-do list, turn to others for help. Whether you need help with errands, household chores or shopping, Capitol Concierge can help you arrange time-saving services that make your holiday season merry, bright and stress free. For more information on how we can help you and your tenants and residents save time, go to https://www.capitolconcierge.com/concierge-services/.